Everyone wants the perfect smile, but not all of us were blessed enough to be born with one. In fact, that movie star smile is quite rare, and if you do a little digging, you’ll find that many of our most famous celebrities have engaged in some sort of cosmetic dentistry. Cosmetic dentistry is about more than just vanity; it’s about restoring confidence. Modern medicine has come to understand the intrinsic link between inner and outer health, mental and physical wellbeing. So, if having a cosmetic dental procedure will increase your enjoyment of life, then that can only be positive. Whether you’re interested in veneers, teeth whitening, crowns, dental implants or some reshaping, you need to put yourself in the hand of a good cosmetic dentist. There are a few qualities and credentials to look out for when choosing a cosmetic dentist. Obviously, you need to know what you want before you start researching clinics. Not all dental clinics offer the same services, so having a list of the procedures you want to be done will help in narrowing your search. A good cosmetic dentist will be more than happy to sit down with you and discuss your options. After you’ve explained the outcomes you want, they’ll provide you with a number of avenues and means for you to reach that goal. On the other hand, if you come across a dentist that tells you what you need to get done, and isn’t willing to listen to any concerns you have, look elsewhere. What Are They Taking into Account? The right dentist will take a holistic approach to your cosmetic dental goals. They will ask questions about your lifestyle, your habits. They will also ask about your medical history, and any procedures you’ve had in the past. On top of this, your budget will be a concern, because there’s no point forcing a treatment on you that you’ll never be able to afford. Do They Provide You With a Realistic Picture? Don’t go to a cosmetic dentist just because they have promised you the world. A good dentist will be realistic about what you can achieve. For example, severely stained teeth may not respond to teeth whitening, so a good dentist will suggest veneers. Poor jaw bone density means a dental implant isn’t suitable for you, so they’ll suggest a bridge. It’s all about passing on their knowledge, rather than telling you what you want to hear. Do They Have a Folio? Cosmetic dentists will usually have a folio of their past work. This is a great way to gauge their skill. If you see a folder full of perfect smiles, chances are you’ve found a good dentist. You can also check out online reviews to see what past customers have said about them. This may sound like an obvious point, but how do you know that the person you’re about to be looked after by has even studied dentistry unless you ask. Most dentists will have a copy of their qualifications on the wall of their practice, and they’ll be more than willing to inform you of their certification. If you sense any hesitation, look elsewhere immediately. Experience is absolutely essential when it comes to cosmetic dentistry. A young dentist may seem like the best option, but if something goes wrong, you need the expertise that only experience can bring. You want your cosmetic dentist to have at least 10-years’ experience before you entrust your smile to them. 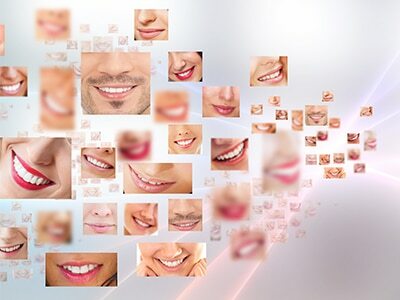 In addition to experience, you want to find a dentist that is skilled with the latest techniques and technologies. Modern technology has changed dentistry for the better, so if you go to a dentist that is tied to old methods, you’re selling yourself and your smile short. When it comes to cosmetic dentistry, cheapest is not best. You may be tempted to go on a dental holiday to have your procedure done, but you have no way of knowing the medical and dental standards that that country operates under. Cosmetic dentistry isn’t cheap because it involves a lot of skill and highly-sophisticated equipment. Your smile is worth investing in, so pay a little extra for a lot of peace of mind. If you find a dentist that ticks all of these boxes, you can be assured of the perfect procedure. It’s incredible what a new smile can do for a person, so what are you waiting for. The smile you’ve always wanted may just be a couple of dental appointments away.